Social networking websites made our lives significantly easier when it comes to keeping in touch with those we care about even if they happen to live across the world from us. Facebook, Tumblr, Twitter, and a dozen of other apps and websites with the elements of social interaction, are used every single day by children and parents alike. However, when the use of these social networking sites interferes with a person's perception of reality and his or her attitude towards everyday activities and real-life communication, it's time to address the issue. While social media addiction can happen to anyone, there is no doubt that children are especially prone to developing this problem. There is nothing inherently bad with interacting with friends online or exchanging the photos, but for a lot of children the line between the virtual world and offline reality can become quite blurred. The role of the parents in this age of social networking is to be aware of the dangers and not let the child escape the reality by completely submerging oneself in the illusion created by the social media. According to the survey conducted by the organization dealing with addictions and substance abuse CASA Columbia, 70 % of the teenagers aged 12 to 17 admit to spending time on social networking websites every single day. The representatives of CASA Columbia have also analyzed the situation regarding the children exposure to the information and images not appropriate for their age group. According to the responses, more than 90 % of active Facebook users saw the photos of people being drunk, smoking, and using drugs at the age 15 and younger. 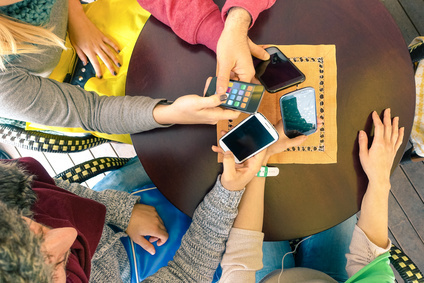 The extensive research performed by the University of Amsterdam shows that approximately 5 % of young teenagers fall into the group of addicted to social media. The analysis of children's behavior was based on the same criteria that are used to determine whether a person suffers from gaming addiction. Professor Valkenburg from the University of Amsterdam claims that an average teenager in the Netherlands actively uses social media websites for 3 hours a day. It can be safely said that the situation is similar to other countries that have easy access to the Internet. The study conducted by the UK National Citizen Service shows that most young girls in this digital age prefer not to discuss their problems with parents, but rather turn to social media for comfort and distraction. The greatest sources of stress at this age include exam results, decisions concerning the future, and problems in relationships with friends. 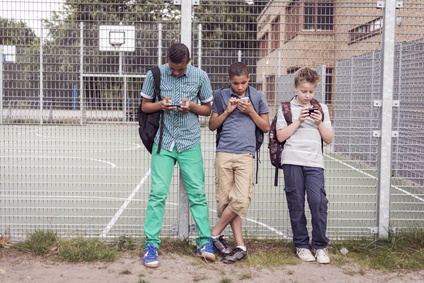 What can contribute to the development of social media addiction among children? During their years of formation, children are especially impressionable, and they take in all the information around them like sponges, which makes them an easy target. Social media websites are created to play on human emotions, and one of the biggest buttons they push is the fear of missing out. No human being wants to feel isolated from the rest of the society, and social networking websites make sure that this doesn't happen. They create an illusion of being constantly present and acknowledged by the peers, thus making a person feel safe and adequate. A lot of children and teenagers suffer from self-esteem issues, thus looking into social media for approval and attention. It's especially relevant in situations when children don't receive enough support and communication from their parents or offline friends. The article “Why Social Media Is So Addictive” by Tom Lowery provides the information that over 80 % of posts on the social networking websites are about the poster. In such a way, these types of websites are the great sources of social validation for children and adults. However, it is a vicious circle because online interactions are usually quite superficial, and they drive a child even further away from the people in their real lives. In these situations, it's much easier to deal with the issues at early stages than when your children cannot imagine their lives without Facebook or other social media websites. Teentor, the extensive cell phone spy software, is highly recommended to all parents who want to protect their kids from any social media harm. The software allows you to monitor and restrict the activity of your child when it comes to any social media websites. What are the symptoms associated with social media addiction? Checking the websites as often as possible. If you notice that your child tries to finish the meal or homework as quickly as possible to browse through a social media website, it may be a first symptom of addictive behavior. Withdrawal. Similar to any other addiction, uncomfortable withdrawal symptoms are associated with social media addiction. Competitive search for friends. It's completely natural that children want to feel needed and included in their social circles. However, for a lot of children, the number of friends they have on Facebook influences how they perceive themselves and the level of popularity they have. Sharing too much information. Oversharing of private details and photos by children on social media platforms can be linked to the need for social approval and a way to get acknowledged by the friends. Negative influence on education. One of the great signs of addiction is that a child is no longer able to concentrate on his or her education due to constant distractions provided by the social networking websites. Interference with real-life communications. It's not news to anyone that online communication is easier for a number of reasons. You can take as long as you need to respond and your facial expressions won't give away your true emotions. If you child would rather spend his or her time on Facebook than going out with friends in real life, you should definitely take some measures. Irritability and tiredness. 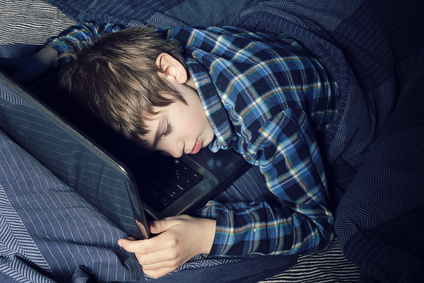 Spending hours in front of the computer screen, especially at night, will definitely influence the emotional and physical well-being of the child. Fatigue and irritability can be among signs that social media interactions are getting out of control. While being obsessed with posting pictures and texting friends on social media is never good, there are a number of other dangers that can be associated with social media. The article on cyberbullying by Stephanie Pappas on Livescience.com links this phenomenon to the depressions experienced by teenagers. 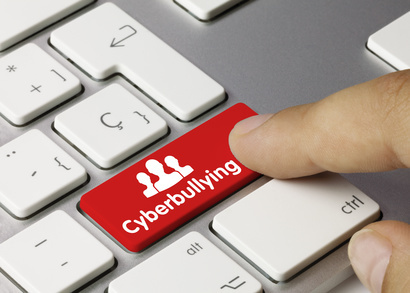 A lot of teenagers who have self-esteem issues resort to bullying others, and social networking sites provide a convenient, and often anonymous, opportunity to do this. According to the studies mentioned in the article, approximately 23 % of teenagers admit to being bullied online while about 15 % of kids reported that they had previously bullied other children on social media. The numbers can be even higher because not all teenagers are ready to share this information with others either because of fear or guilt. While it's almost impossible and not very beneficial to ban your child from social media completely, you should still be aware of their online activity to protect them. 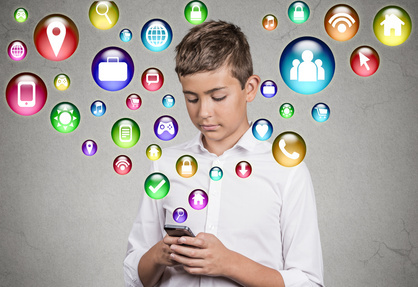 One of the great ways to do that is by using a tracking app, such as Teentor that allows you to control the social media activity of your kid. With the help of text message spy function, you can view the texts received by your child, and thus you can immediately react if there are any incidents of cyberbullying. It's essential to prevent such harmful situations before they get out of hand. Poor diet and obesity. Being online all the time requires a lot of time, which is why a lot of children prefer to snack rather than leave a computer for 20 minutes to have a full meal. The lack of physical activity also doesn't help the situation. Such approach can lead to a number of gastroenterological issues and even obesity in some children. Vision issues. No matter how great of a monitor your child has, looking at the screen for hours can lead to the development of vision problems. It is especially relevant when a kid looks at the screen at night, which is often the case when we talk about social media addictions. Sleep disturbance. Looking at the glowing screen right before going to bed leads to the reduction of melanin, which makes it more difficult for a child to fall asleep. As a result, your child doesn't get enough sleep and is not able to concentrate on his or her education. Backaches and neck strain. It may seem that these problems should not bother children, but it's quite the opposite. Being constantly in the browsing position leads to the development of bad posture and neck pain, which in turn can cause headaches and vision problems. Self-esteem issues. When children are always on social media websites, it's inevitable that they will compare their lives and appearances to other people. If a child already lacks confidence, this can make him feel more miserable, thus affecting his attitude towards life. Depression. In extreme cases, the incidents of cyberbullying combined with the absence of sufficient offline communication can lead to the development of depression. ADHD and anxiety. It may become difficult for a child to concentrate on one subject or remain calm with all the distractions provided by the social media. The children addicted to social networking websites may spend their time anticipating the next opportunity to go online rather than focusing on the task in front of them. The researchers from the University of Glasgow suggest that the fear of missing out cultivated by the social media can easily lead to anxiety in children. Lack of offline social skills. Being able to communicate and convey one's thoughts in a clear manner is an incredibly valuable asset that can help achieve success in a chosen career and facilitate understanding in the relationships. Unfortunately, social media interactions do not contribute to the development of these important skills and make a kid absolutely clueless when it comes to real-life communication. When it comes to managing the addictive behavior of your children, prohibiting the use of Internet is definitely not a realistic expectation. After all, it is still a great way to keep in touch with friends. The most important thing in preventing the development of social media addiction is paying attention to your child's behavior. It's important to ensure that your child has plenty of things going on offline to keep him or her interested. It includes various hobbies, events, meetings with friends and going out with the family. In some cases, consulting a professional may be extremely beneficial if social media addiction is already present. 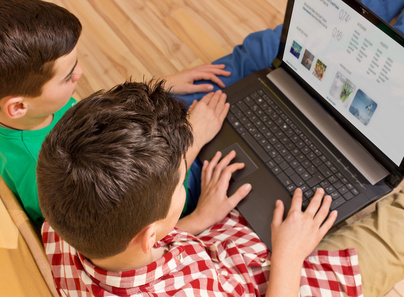 When we talk about ensuring the safety of your children online, it can be done using the software created specifically with the intention of managing your kids' Internet activity. Teentor is the effective spy software designed to be installed on your child's device and give you an opportunity to regulate his or her social media interactions. This cell phone spyware makes it possible for you to limit the use of certain websites and choose which content is appropriate for a child of a certain age group. You should never take the dangers of social media lightly and make sure you're prepared before any addictive behavior has a chance to develop.